These offers are free with the purchase of the Giant AnyRoad 2 (2015) Bicycle. The Giant AnyRoad 2 (2015) comes with a ALUXX grade aluminium frame. The Giant AnyRoad 2 (2015) comes with Shimano ST-353/ST-R350 shifters , a Shimano FD-R353-B front derailleur and a shimano RD-350 GS Rear derailleur. The Giant AnyRoad 2 (2015) comes with front and rear disc brakes with giant ergo-control brake levers. The Giant AnyRoad 2 (2015) comes with giant composite ALUXX fork. The Giant AnyRoad 2 (2015) comes with giant P-RX2 X-Road tires and giant S-X2 double wall aluminium rims. The Price of the Giant AnyRoad 2 (2015) is Rs.101260. 2. In what condition will I get the Giant AnyRoad 2 (2015)? 6. 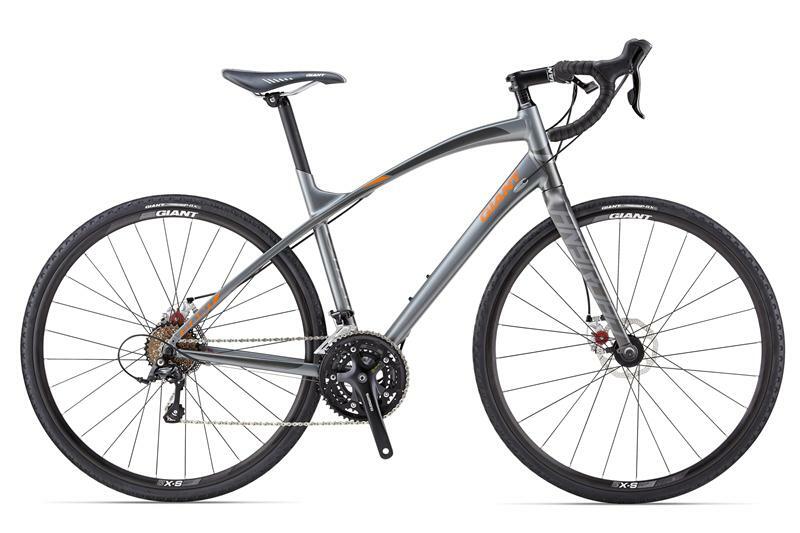 How will I know if Giant AnyRoad 2 (2015) will fit me without riding it? 7. How long will it take for me to receive the Giant AnyRoad 2 (2015)?